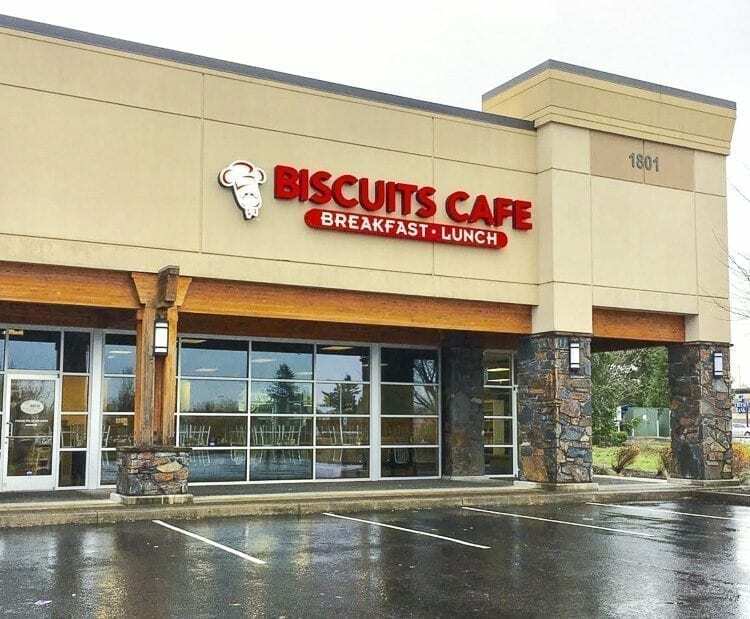 VANCOUVER — When you see David Ligatich, the new franchise owner of Biscuits Café in Fisher’s Landing, he’ll likely be chatting with regulars at the restaurant, or he’ll be busy figuring out new ways to give back to the community. The Oregon native worked in retail leadership for nearly 25 years, but after experiencing some serious health problems — including a heart attack and an epilepsy diagnosis — Ligatich and his wife Dana were forced to think of what new career could align with their strengths, but also pay the bills and cause less stress. Ligatich took some time off work for a while and his wife started working part time at the Biscuits Café in Gresham. She established a great working relationship with the owner and helped build a loyal customer following. She was soon promoted to a managerial role and once the owner was looking to sell several years later, the couple had determined their new calling: they wanted to be restaurant owners. They came together to first purchase the Gresham franchise and then in February of this year, they bought their second Biscuits Café franchise, located in Vancouver’s Fisher’s Landing area. Since then, they have worked hard to build a positive reputation and put down roots in the Clark County community. 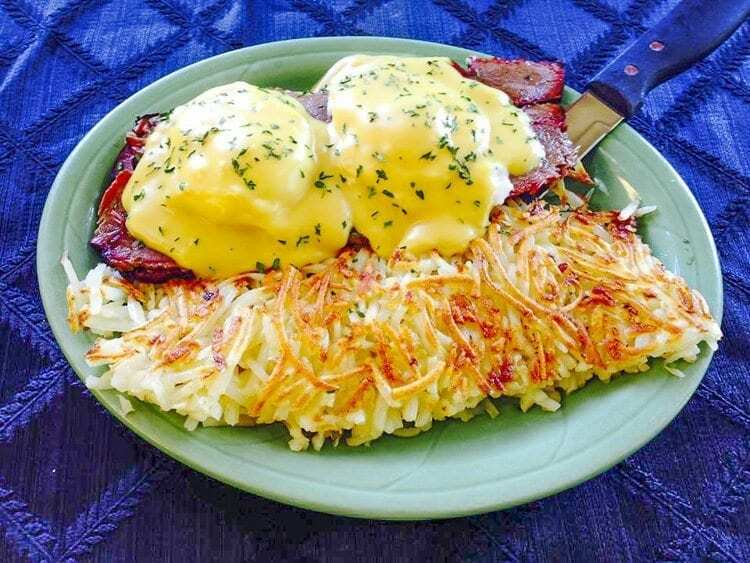 And when it comes to standing apart among the myriad of other breakfast spots in the Vancouver area, Ligatich believes that attentive, personalized customer service and quality is what turns one-time customers into repeat customers. Ligatich has partnered with the Vancouver Chamber of Commerce and beams with gratitude when he talks about what an immense asset they have been throughout the process of building a following at this Biscuits Café Vancouver location. In addition, he and his team have worked regularly with the Share House to give back to individuals and families that are struggling. All indications are that the future looks bright for Biscuits Café and the Ligatich family is excited to be in the middle of its growth. They hope that someday, they’ll be able to own and operate 4 to 5 locations total. The Vancouver Biscuits Café is located at 1801 SE 164th Ave., Suite 103. 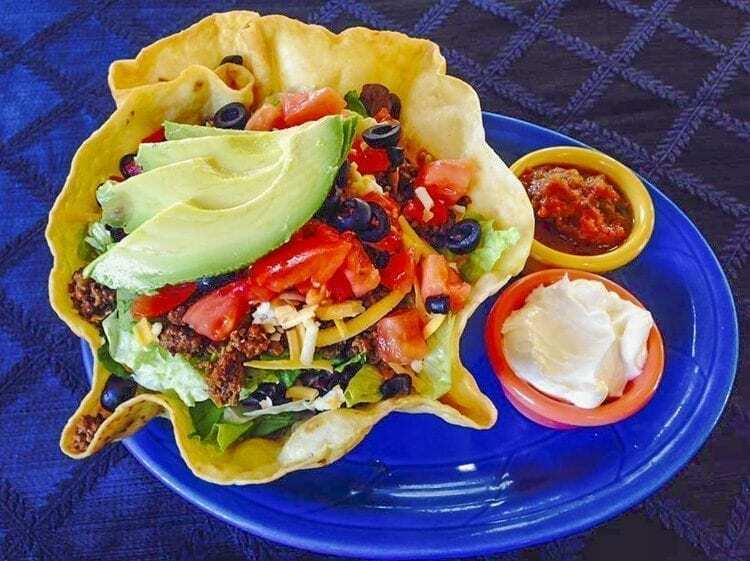 The restaurant can be reached by phone at (360) 718-2293. For more information, see Biscuits Café on Facebook or go to www.biscuitscafe.com.